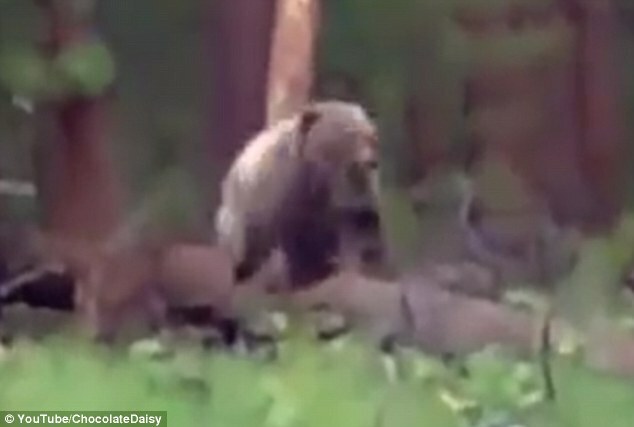 A hunter stops a rampaging bear dead in its tracks as it storms towards him during a terrifying video. 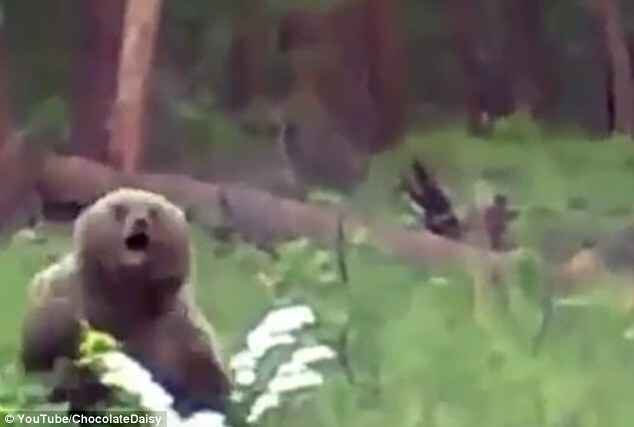 The brown bear tears across woodland in the Russian wilderness, leaping over logs and undergrowth as it charges at a group of hunters. The predator is only stopped when the hunter fires off a number of shots from his rifle, hitting the bear in the torso and causing it to roll across the forest floor. Even after the first two or three shots are fired, the panicked hunters continue to shoot their attacker as it lays motionless on the ground. 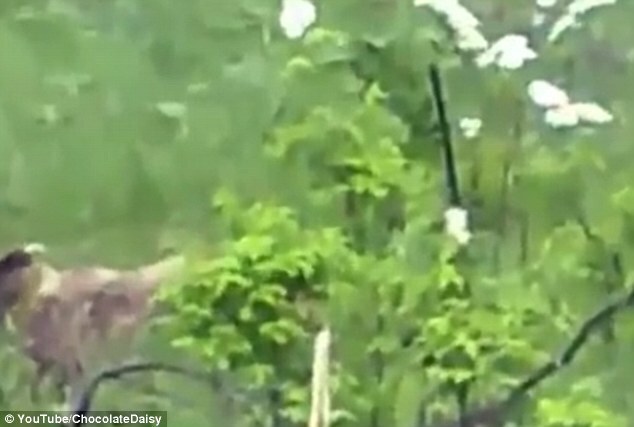 A video of the brutal incident has been watched more than a million times since it was shared on YouTube, with viewers arguing other whether the hunters could have found a more humane way to deter the bear. Brown bears are common in Russia, as well as across North America, and are known to be quick on their feet - reaching speeds of up to 30mph. While they are powerful predators, their diets are made up mostly of items such as fruit, berries, nuts and roots. However, when these are in short supply they have also been known to attack elk and moose. The only time they are likely to attack humans are if they are with their young and feel threatened.